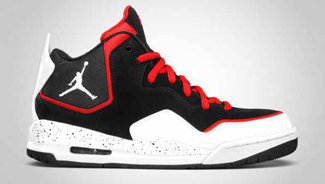 Fulfilling their promise of giving us new array of models this year, Jordan Brand is set to release a new model this month, the Jordan Courtside, which is absolutely gaining a lot of attentions. 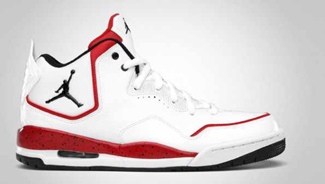 The new Jordan Courtside will debut this August 2011 in Stealth/White – Cool Grey, White/Varsity Red – Midnight Navy, Black/Challenge Red – White, White/Black – Varsity Red, and Black/Black colourways. This performance-based sneaker, which resembles the base sole unit of the Air Jordan 3 combined with the heel cup of the Air Jordan 4, is a must-buy this month so start saving money now and watch out for its release!